Week 1 of training is almost complete! We have a REALLY intense workout tomorrow morning which involved an open water swim, a bike andddd a run! Not entirely sure I’ll still be standing after that. 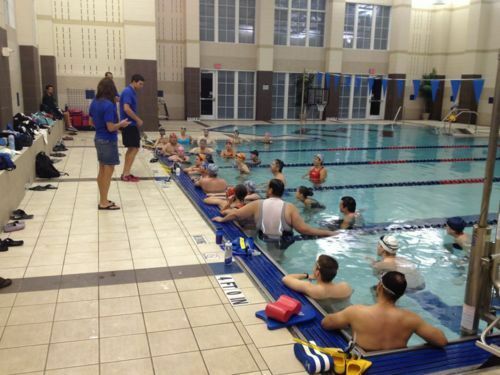 Tuesday - Group Swim — I was nervous for this but I think it went really well! As long as I can work on pacing and practice in open water this weekend, I think the swim will be ok. I think I can swim 25 meters in about 35 seconds (at a moderate pace).